Home / Blog / Uncategorized / What are you looking at …. What are you looking at …. Out shooting yesterday – 5th Aug 08 – and saw these pelicans watching and getting scraps from fishermen cleaning their catch at the boat wharf on Terrigal Beach. I chucked my 70-200mm on and saw the potential of this shot when a Pelican faced me. This was one of three shots the other two had his beak to the left and right. Would make a nice three image shot. But this is my favorite. 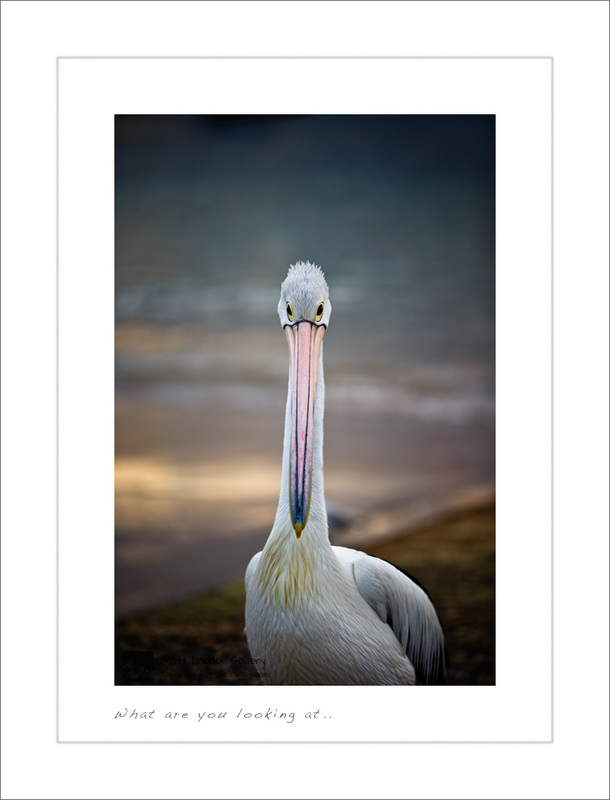 This entry was posted in Uncategorized and tagged pelican, terrigal beach. Bookmark the permalink. I love this shot! I am always taking photos of birds. I love the way it is looking right at you! Kind of an unfortunate looking animal from this POV!